But wait a minute, let’s return to that “burger comparison” for a moment, because it illustrates a concept that I’ve been trying to convince people of for years. That piece of information is portion size. While the other four burgers are 5.33 oz, the “Crown Burger” is only 4 oz. Hence, part of the reason why it’s lower in calories and sodium is because it’s smaller. In fact, when you look at the nutrient density (a standardized measure of nutrient content per standardized amount), the “Crown Burger” actually has a higher calorie density and a higher sodium density when compared to the “Fudruckers Burger”. 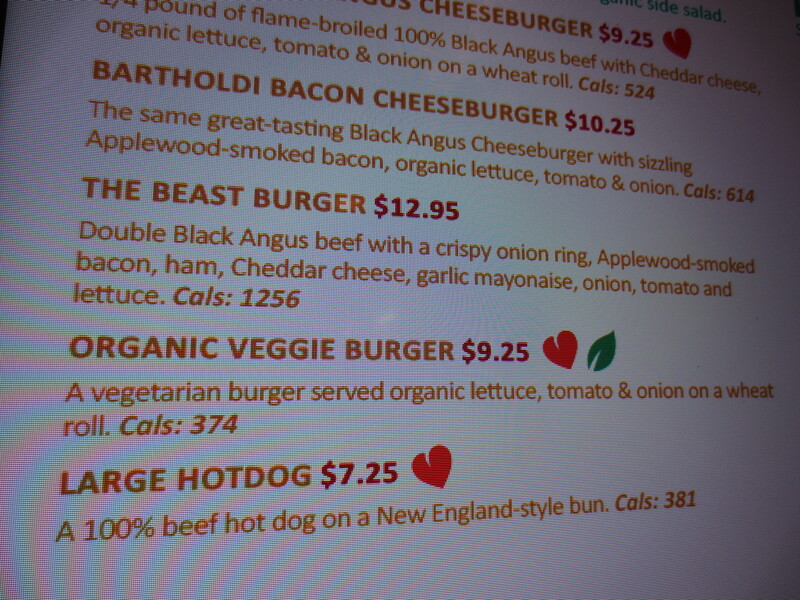 Considering this, the “Crown Burger” is not the best choice. 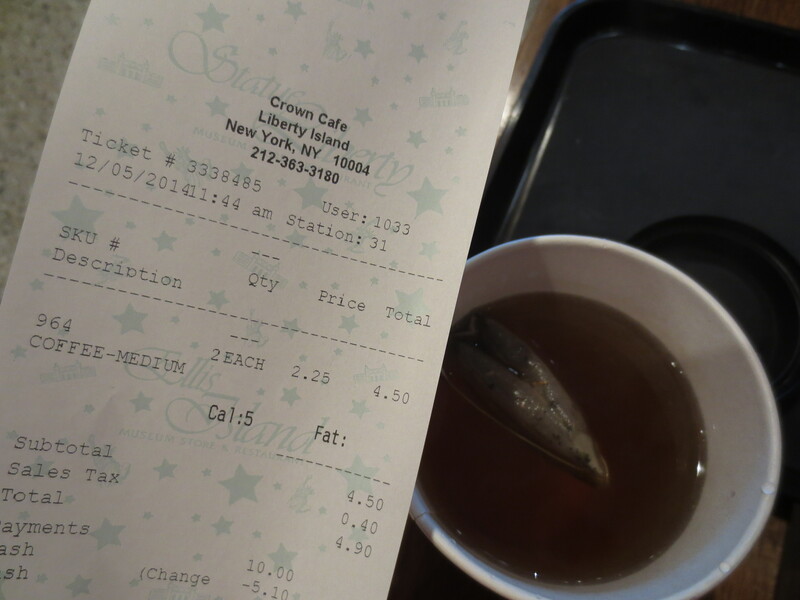 By choosing the “Fudruckers Burger” you get more food, with a lower calorie and sodium density, for less money. 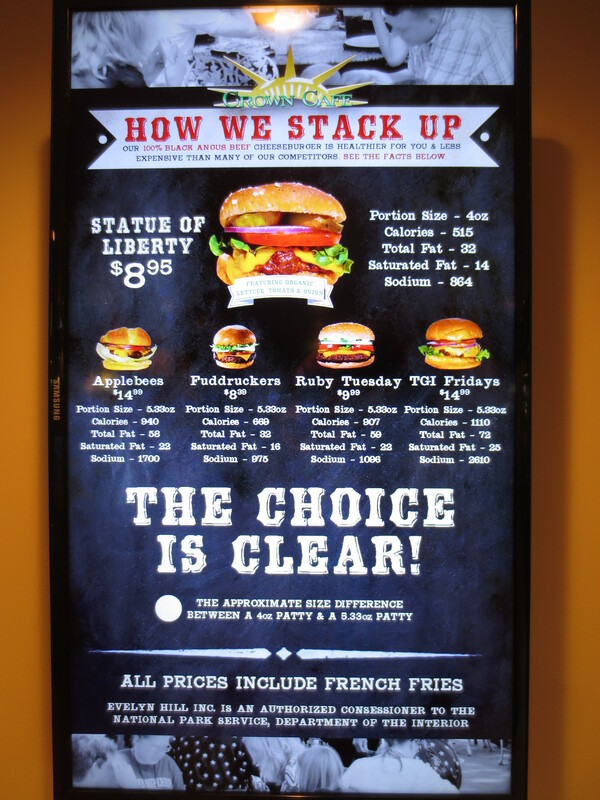 Sure, the “Crown Burger” contains less calories overall, but whose to say you won’t get hungrier sooner and make up for those extra calories with a snack later on? I’ve been concerned about the effect that portion size has on confusing caloric comparisons since I first began doing menu-labelling research a few years ago. Current policies that only require the labelling of calories can be deceiving if similar food options are different sizes. As a matter of fact, I was so concerned about this issue, I even did research to investigate whether including portion size information on menus would help consumers select meals with a lower calorie density. 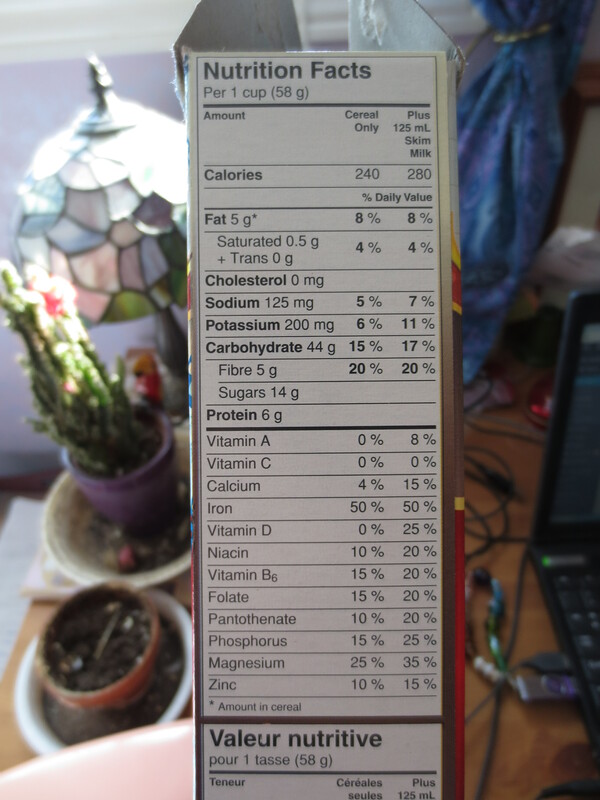 However, my research showed that including portion size information had no effect. So at this point, I’m not quite sure how to address this “niche menu-labelling” issue. Any ideas? 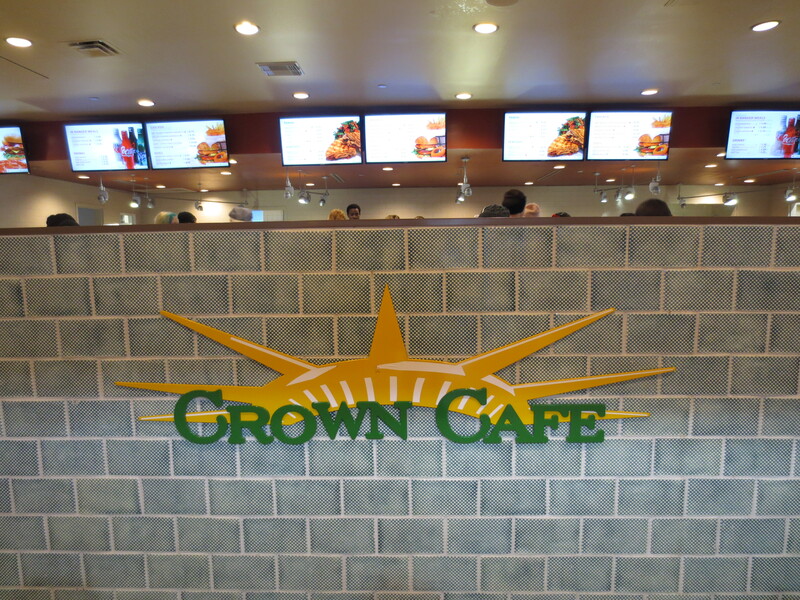 Long story short, I was encouraged to see that “Crown Cafe” is leading the pack by providing nutrition information to help consumers make an informed choice. If only all restaurants could do this!